Get in on the enjoyment of being a part of an excellent team creating the best virtual pet game! Before you send in your application, carefully read through all the info displayed on this page. Please send all applications to: rescreatuapps [AT] gmail.com. If we are hiring in any department, there will be a post in the news. We are always hiring in the Artist department. Please do not discuss if you are applying for a position, as the applications are reviwed anonymously. Please note- if a staff section is closed a reply may or may not be sent. Please confirm if the section you're interested in is open or not before applying! Upon applying to become a Rescreatu staff member you agree to the fact that when you submit any content to us, it automatically becomes property of Rescreatu.com. Staff Artists bring the world of Rescreatu to life with original graphics for items, pets, characters and more! 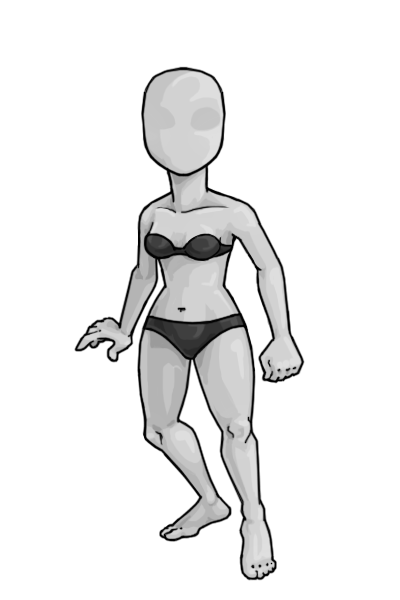 Artists must do their best to match Rescreatu style in applications. Training will be given to accepted applicants to help them perfect the style. Staff Artists are expected to communicate and sometimes collaborate with the rest of the Art Team. Communication is done via instant messaging and forum settings. Artists are rewarded with Cash Points which can be used in the Credit Shop to purchase exclusive items and additional features. After a training period, artists become eligible for USD pay on a case-by-case basis. Please visit THIS LINK to see a guide to the Rescreatu Artist Style. Why do you want to work for Rescreatu? Tell us a little about yourself and why you are applying to be a Staff Artist. Do you have any previous work experience in graphics and/or illustration? All requested samples must be provided for each position applied for. Applicants may apply for multiple positions. 6+ unique item samples in a style consistent with items published on-site. Provide examples sized 90x90. 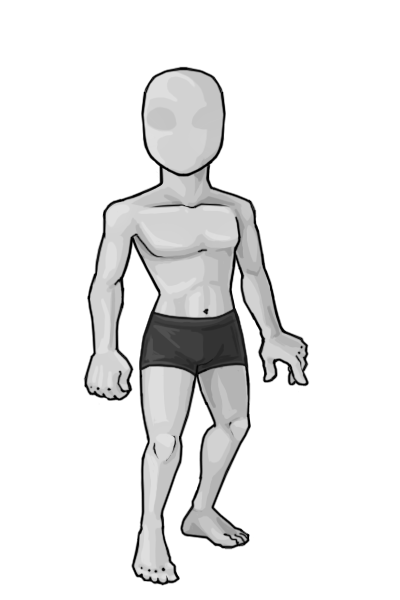 Use the body bases provided to make a 3-item clothing set with male, female and item graphics. Provide examples of each individual item and the set as a whole sized 200x300. Tip: Consistency between male and female bases is important. Duplicate overlays from one base to the other and make edits to fit rather than redrawing from scratch. DO NOT SUBMIT ORIGINAL CREATU DESIGNS! 2 finished illustrations of any Creatu. Provide examples sized 200x200 and 400x400. Tip: Most Staff Artists draw Creatu at 1667px at 300dpi with a 8-10px brush. 3+ full body sketches of different Creatu in a variety of ages, poses and perspectives. Tip: Use perspective to make the most of a square canvas. Provide 4+ of any of the following graphic types: 60x60 forum avatar 468x60 advertisement banner 120x600 advertisement banner 300x250 banner Provide at least 1 animated graphic and at least 1 graphic with typography. Examples must demonstrate editing and animation skills. Have more to show? Include any additional work you would like us to consider. More relaxed enviroment, relaxed deadlines, etc. Users in this department will not be shown as staff on site. No access to behind-the-scenes development. Will only be paid in Cash Points, rather than potentially receiving USD. To apply as a Commission Artist, please submit the same application as above, but include that you are wishing to be a Commission Artist rather than an full time Artist. Becoming a member of the Rescreatu Support Staff team requires maturity, patience, friendliness, and the ability to deal with any situation without prejudice or favoritism. You will at times have to deal with difficult situations, such as having to issue a warning or ban a friend, and deal with difficult users on a regular basis. If you are not sure that you can be absolutely fair, please do not apply. Thorough knowledge of the site is also a requirement. You must have the knowledge in order to help the members of Rescreatu when needed. Some of the duties of a Support member include answering tickets, monitoring activity logs, checking forums and blogs for inappropriate content, and being available to help the users while on the site. Please keep in mind that there will be times that your duties as a Support member will have to come before leisure time spent on the site, especially during seasonal egg hunts and events. As a Support member, you will also have the opportunity to help brainstorm new ideas and influence future content and features in the game. You will need to be very familiar with Rescreatu and comfortable enough to speak up and give your input in order to participate in this development. As a Support member, you will be required to work a minimum of 10 hours per week. Time spent moderating the shoutbox does not count toward your quota. During the training phase, you will be required to work a minimum of 5 hours per week. During training, you must be logged into Skype or any IM client that can communicate with Skype. Communication is crucial to your learning. If you are not sure that you will be able to meet these requirements, please do not apply. You will be compensated for the time and effort you put into the job of being a Support Staff member. Details of your payment method and amount should be kept confidential, just as many jobs require. 1. Why would you like to become a member of the Support Staff? 2. What qualities do you possess that would make you a valuable addition to the Support team? 3. What are some of your favorite things about Rescreatu? 4. Have you ever received a warning or been site-banned from Rescreatu? 5. A new user has just appeared in the shoutbox and is asking how to obtain a pet. What would you tell this user? 6. After using all her hatches, the new user is frustrated and is complaining about the hatch limit. How would you respond to this? 7. The new user has discovered a glitch that allows them to hatch as many pets as they want. She is excitedly announcing her discovery in a forum post. What should be done in this situation? 8. While browsing rancher shops, you come across one shop that has used inappropriate content as decoration. What will you do? 9. You have just discovered that another Support staff member has banned one of your closest friends. You do not believe that the ban was justified. How would you handle this situation? 10. What is your biggest pet peeve regarding other users of Rescreatu? Optional: If you have any additional information or comments, please feel free to include them below. Good luck and thanks for applying! Your account must be at least six months old. You must have at least 20 hours per month to dedicate to moderating. You must have everyday access to an IM service that can communicate with Skype users. Please fill out the following application if you are interested in becoming a Moderator for Rescreatu and you meet the preliminary requirements. 1) What is the main reason you want to become a Moderator? 2) What qualities and/or skills do you have that would be beneficial for the job of Moderator? 4) List three or more ways that staff members of Rescreatu can be identified from non-staff members. 5) In your opinion, what forms of rule-breaking are the most problematic in the shoutbox? 6) What qualities can you tolerate the least in another user? 7) Please explain all of the ways that a new user could possibly acquire their first creatu. 8) A user advertises their rancher shop, and then posts the same advertisement 17 minutes later. How should this be handled? 9) The user in question #8 rejects the over-advertising rule, saying that it is uncalled for and unfair. How would you respond?? 10) A newbie uses a curse word on the shoutbox, but you are not sure if they have read the rules yet. What should you do? 11) A user is repeatedly asking how to dress their Human Avatar, despite having been told how several times already. The other users in the shoutbox are starting to get annoyed, and the situation is becoming dramatic. What should you do? 12) A user comes on the shoutbox and starts telling everyone to 'shut up'; that they 'hate everyone'; and they 'are all stupid' and then starts spamming the shoutbox with '!!!!'s. What should you do? 13) Which of the following messages are considered spamming? Please put spam/not spam next to each example, and explain why it is or isn't spam. b. WHAT? He sold HIS ALBINO KIOKA? WHAT? c. wHAT IS UP PEOPLE OF THE sHOUTBOX? f. Where Can You Find Mirabilis Eggs At I Can't Find Any. 14) A user says a curse word on the shoutbox, and a non-staff member warns them that they could be banned for using that type of language before you can say anything. Prior to this, you have only been lurking in the chat and not participating in conversation. What should you do? 15) A user on the shoutbox is speaking in a language other than English. After letting them know that only English may be used on the site's public areas, the user finds a way to let you know they do not speak English, and continues in the foreign language. List the possible ways you would deal with this situation. 16) A staff member from the writing department has just issued a 3-day shoutbox ban to a user who was posting smilies too often. The user had never been warned for this before, and you consider the ban to be unfair. What should you do? 17) You see that another staff member is advertising too often. What should you do? 18) It is your first day on the job as moderator, and a user you CANNOT STAND posts a message that is borderline spam; you aren't quite sure. What do you do? 19) It is your first day on the job as moderator, and your best friend posts a link to an inappropriate image. How do you handle this? Is there any additional information that you would like to add to your application? For example, any previous experience can be mentioned here. Responding to this question is optional. You are the compliment to the artists. You too will bring the world of Rescreatu to life, but through words. Your job will be to create item descriptions, short stories, plots, and more. We ask that writers be at least 16 years old. Please use the format below for your application. The requirements for your samples are also listed below. 1 Rescreatu Book - Please choose a book item on Rescreatu that has not yet been published. Write a short story for it. The story must be at least 300 words, and no greater than 2,000 words. 1 Creatu Description - Choose any Creatu on Rescreatu (whether it has a description or not) and write a new description for it. 5 Item Descriptions - Choose 5 different items on Rescreatu and write a description for each. The items should be of multiple types so that we can see a variety of writing samples. 1 Plot Idea - Please write 1 or 2 paragraphs with a simple plot idea for Rescreatu. This plot should be consistent with the current Rescreatu story. This does not need to be a long description. You are not actually writing out a plot. It is just an idea for a potential plot to test your creativity and consistency. This is a new staff position available on Rescreatu. Content managers will be responsible for collecting, organizing, and publishing new content onto the game. You will be responsible for keeping track of staff work and uploading items, publishing any writing, adding quests, collections, etc. It will also be your job to help create and refine ideas for the production of Rescreatu. You will have much influence on the direction of the game and any future features. Please use the format below for your application. We ask that anyone applying for this position be at least 18 years old. This application is much more open ended than our other applications. Please list off any qualifications you may have that would show us that you would qualify for this work. It is important that you understand the mechanics behind this game. Include any ideas that you believe would be beneficial to Rescreatu. These can include updates to current features, or new features that would help game play. Because this application is so open ended, it will be your first test to see if you could qualify for this position. Try to impress us!